Bring the delights of summer into your home with this playful and fun fragrance combing fresh white florals, sweet melon, and subtle vanilla. The first constantly changing fragrance that acts like real life. 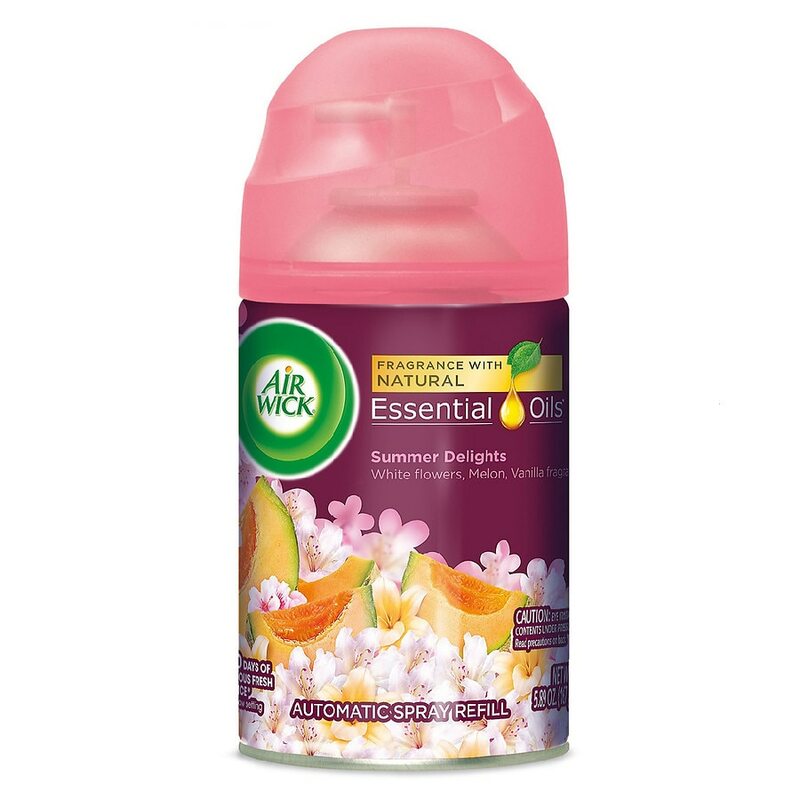 It releases bursts of continuous fresh fragrance so your home always smells welcoming. Choose from three settings to achieve desired fragrance level. Provides up to 60 days of continuous fragrance on low setting. Keep out of reach of children and pets. Eye irritant. May be harmful if directly inhaled. May cause allergic reaction in some individuals. Do not spray towards face or body. Do not get in eyes. Avoid contact with skin. Container may explode if heated. Do not puncture or incinerate container. Do not expose to heat or store at temperatures above 120 degrees F (49 degrees C). Do not position near heat or electrical sources. Do not spray into open flames. Do not spray directly onto surfaces. In case of contact with surfaces, wipe immediately with damp cloth. Use in well-ventilated rooms away from sleeping areas. For adult use only. Product is not a toy. Contains propellants, petroleum solvent and fragrance. First Aid: If swallowed, do not induce vomiting. Immediately call a physician or poison control center. If in eyes, immediately rinse eyes with water. Remove any contact lenses and continue rinsing eyes for at least 15 minutes. If irritation persists, get medical attention. If on skin, wash with soap and water. Discontinue use immediately and get medical attention if a reaction develops. Note to Parents: Use only as directed. Intentional misuse by deliberately concentrating and inhaling the contents can be harmful or fatal.